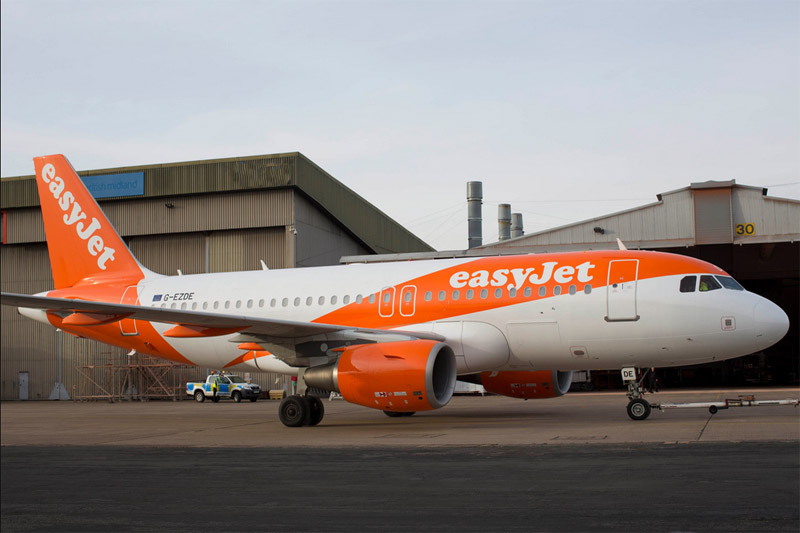 easyJet announced a strengthening of its Italian strategy through expanding its bases in Italy at Milan Malpensa and Naples and the opening of a new base in Venice from April‎ 2016. The airline plans to support this expansion by redeploying aircraft and crew from Rome Fiumicino. “Italy is a key strategic country for easyJet and our plans for 2016 announced today will expand our presence at Milan, Naples and Venice, where there are more opportunities for long term sustainable and profitable growth, while ensuring we continue to connect Rome Fiumicino with Europe in a way that best reflects passenger demand. easyJet also announced that it is to open a new base in Barcelona from February 2016, basing three Airbus aircraft there. Barcelona has always been a key network point for easyJet and the base opening consolidates easyJet’s strong position at Barcelona carrying almost three million passengers a year to and from 14 airports across Europe. With aircraft based at the airport business travellers will be able to benefit from earlier departures as well as an increased number of flights on existing routes connecting to primary airports in Europe such as London, Paris, Geneva and Milan. easyJet will open a base at Venice Marco Polo Airport starting from April 2016. With four Airbus aircraft based at the airport, easyJet will increase its contribution to the local economy by providing 150 local jobs for pilots and cabin crew. Venice has for some time been a key network point for easyJet, having operated flights into and out of the city since 1998. The airline has increased the number of passengers carried by an average rate of 15% per year over the last five years. easyJet currently flies to Venice from 15 primary airports across Europe – such as London Gatwick, Amsterdam and Paris Charles de Gaulle – and is the largest airline at Marco Polo Airport. As well as being a world famous tourist destination the region is Italy’s third largest economy and 28% of easyJet’s 1.6 million passengers on flights to and from Venice are travelling on business. This will be further enhanced when aircraft are based at the airport as business travellers will be able to benefit from early morning departures. Milan Malpensa is already easyJet’s second largest base with 18 aircraft and will receive three more from April 2016, providing over 100 new jobs for pilots and cabin crew. This will strengthen easyJet’s existing status as the largest airline at Milan Malpensa and gives the airline a strong strategic position serving Italy’s richest metropolitan area of some 9 million people with one of the country’s highest GDP. easyJet opened its new base in Naples in 2014 and is now firmly established as the largest airline at the airport. Naples is southern Italy’s largest city and the third largest in the country. easyJet already bases three aircraft in Naples and will base one more plane there from April 2016 providing 35 more jobs for pilots and cabin crew. Naples is a top European destination both for tourism – the city being listed a World Heritage Site by UNESCO – and for business with a wide network of more than 260,000 companies and 2.6 million business travellers flying from Naples every year. The worsening performance of the Rome Fiumicino base has been driven by high airport passenger charges, which have more than doubled since 2012, and will be burdened by further above inflation increases in the coming years. In addition, Rome Fiumicino airport provides a poor passenger experience which has led to low levels of punctuality and customer satisfaction which the recent capacity increases have exacerbated. As a result of the redeployment easyJet will cease basing crew and aircraft at Rome Fiumicino from April 2016. There will be no job losses as a result of this decision as easyJet will be offering Rome Fiumicino based crew a transfer to our other Italian bases. The airline will offer individual relocation plans and support for all employees. easyJet hopes that as many of its crew as possible take up this offer.